Last year, Nick took a Whole Beef Butchery class from master butcher and all-around awesome guy, Ryan Farr, founder/owner of our favorite place for outstanding meaty goodness of all kinds, 4505 Meats. Since then, we’ve visited their booth at the Ferry Building Farmers’ Market regularly, always getting a cheeseburger (best in the city, no joke), and also picking up treats and meat goodies whenever we could. 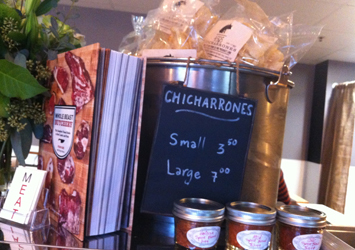 Though they’re at the Ferry Building Tuesdays, Thursdays, and Saturdays, we always wished they had a brick and mortar store so we could visit more frequently. A little while ago, we went to Rainbow Grocery for the first time (it’s AWESOME), and although they have SO much great, quality, sometimes hard-to-find stuff, they don’t sell meat there. 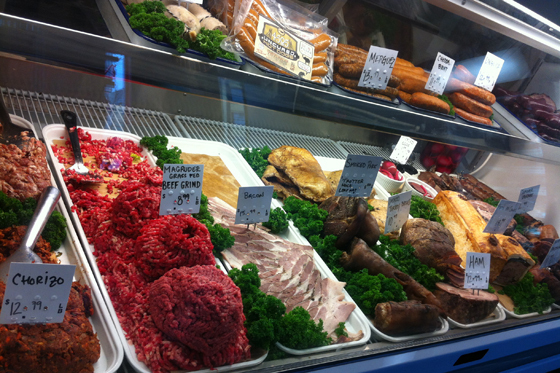 We thought what a great idea it would be to open a butcher shop around the corner with grass-fed, pastured meats … and our dreams came true this week! 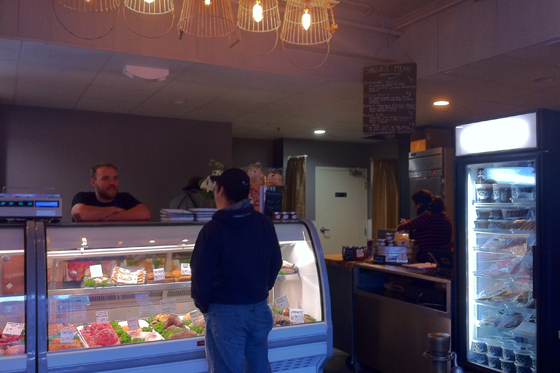 4505 has opened a butcher store in the Mission District! We headed over there to check it out today. 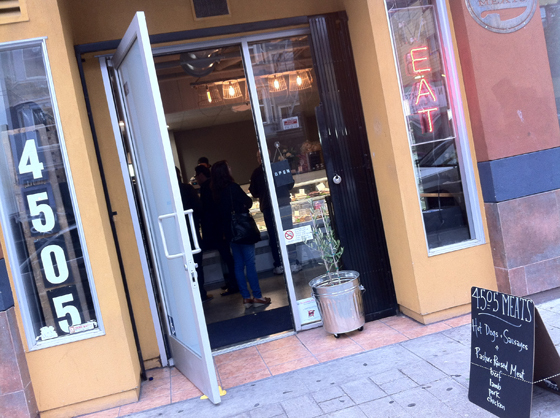 The store is at 1909 Mission Street (haha – yeah, the 1909 and 4505 can be a little confusing, but it’s no biggie). 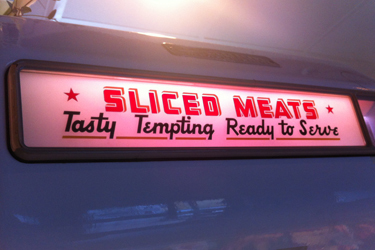 I LOVE how the neon sign in the window flashes between “MEAT” and “EAT” – YES. 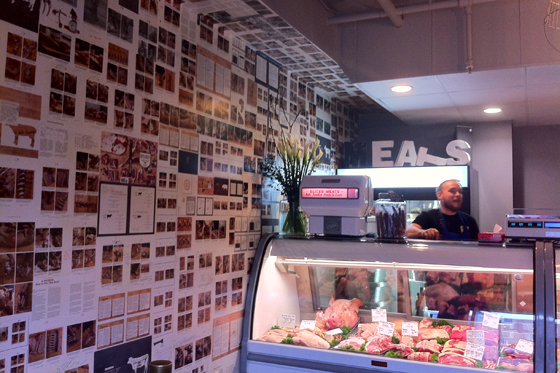 The walls are papered with pages from Ryan’s new book, “Whole Beast Butchery” – perfect. 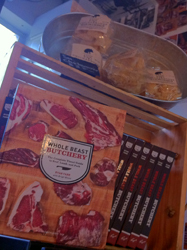 And who’s behind the counter filled with gorgeous, sustainable, pasture-raised, top-quality meats? Mr. Ryan Farr himself. *Note: If you don’t know why sustainable, grass-fed beef and pasture raised meats are important, please please PLEASE watch Food, Inc. already. Seriously. It might be the most important thing you do for yourself and the ones you love today. Ryan had envisioned the butcher shop to be more like it was in the old days – when people could have more of a personal relationship with the butcher – you could drop in for a chat, talk to him about what you wanted to make/eat, and he’d hook you up with what you needed and/or make suggestions if you needed help. Look at all the lovelies! 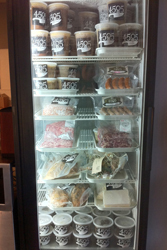 Along with raw meats, there are 4505 sausages, pates, smoked meats, bacon, and more. If all this deliciousness is getting to your head and you can’t wait for your meat to cook, there are ready-to-serve (and eat) options too – you can chow down on treats like a handmade 4505 bacon-studded hot dog, or other specialty sausages while you choose what you’d like to take home. 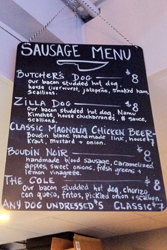 There’s even a freezer case with housemade stocks, more sausages, ground meats, confit … even tallow and the best quality dog food you can get for your four-legged family members. 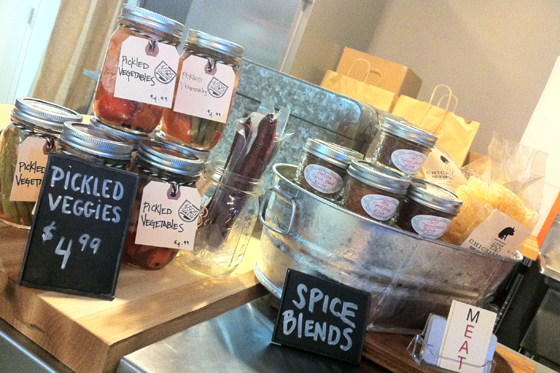 And at checkout, you still have a chance to grab a spice blend, a duck jerky stick, or some awesome 4505 pickled veggies to go along with whatever magical meaty delights you’ve just picked out. 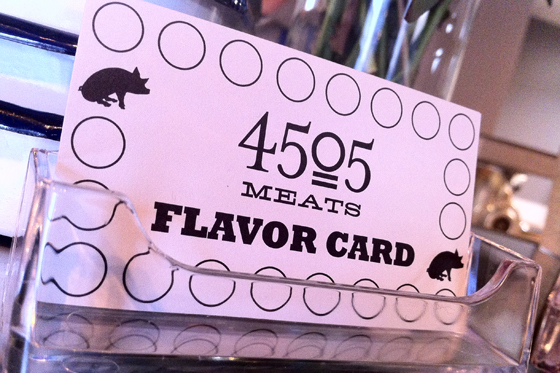 If you like to eat quality, locally sourced food, including the absolute best quality meats from healthy, well-raised animals, you need to visit Ryan and the 4505 crew. They’re still at the Ferry Building Farmers’ Market on Tuesdays, Thursdays, and Saturdays, so definitely get goodies from them there too (and say hi to Kent – he’s awesome! 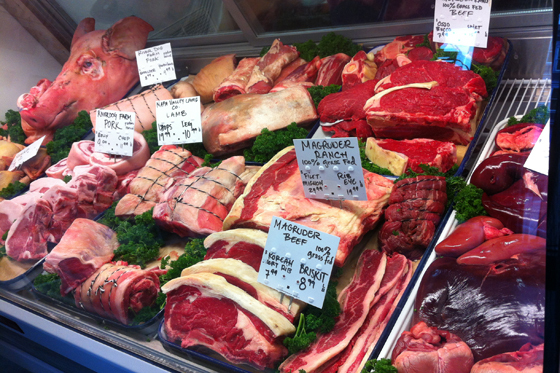 ), but Ryan’s manning the butcher shop at 1909 Mission (right now open from Wednesday through Sunday), and he’s there to answer your questions on all things meat. We’ll see you there!